Three years after consumers laid eyes on the fourth generation Subaru WRX, it is time for a refreshed version – the 2018 WRX and WRX STI. The revamped versions of the WRX and WRX STI received minor updates, highlighted by new front fascias, revised suspensions, 19-inch wheels on STIs, upgraded Brembo brakes, and an available Performance package for the WRX. However, the cars will remain on their original platform. Although the Global Subaru Platform has already debuted, the refreshed versions of the WRX will not be on it. Despite all of the updates to the vehicle, it is still very recognizable. The front ends have new grille designs, larger air intakes and wider mouths. The WRX Limited and STI models also have redesigned LED headlights that swivel in turns. The front structure was also bolstered for better collision performance. The hearts of the Subaru’s remain the same. The direct-injected, turbocharged 2.0-liter flat-four that makes 268 horsepower and 258 lb-ft of torque, is still present on the WRX. 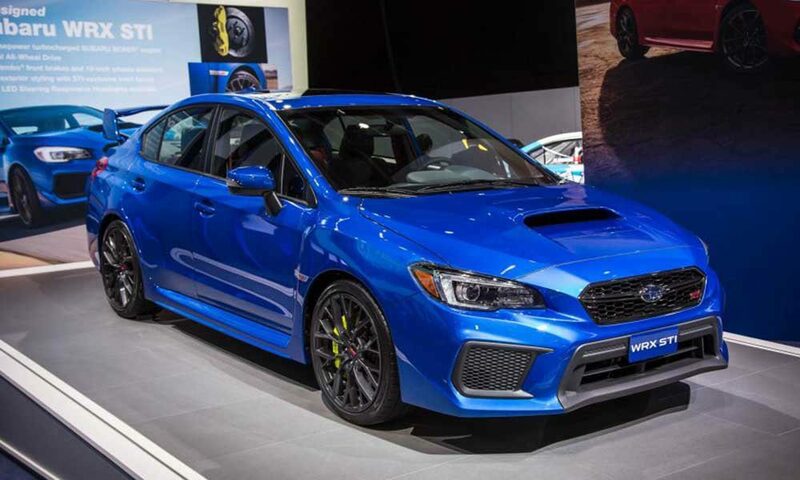 The WRX STI also kept its turbocharged 2.5-liter flat-four that makes 305 horsepower and 290 lb-ft of torque. The suspension tuning and the electrically assisted power steering has been revised on both models. The STI’s Driver’s Control Center Differential (DCCD) switched to a a purely electronically controlled limited-slip diff. Subaru said the switch makes for a smoother and quicker response from the car. The brakes on the STI have also been upgraded, with the Brembo monoblock calipers now having six pistons in front and two in the rear. The larger-diameter rotors are now cross-drilled for better head management. The upgrades also include new pads covering more surface area for better fade resistance. In addition to all of the mechanical revisions made to the car, the interior also received a revamping, both for safety and interior quality. The WRX features new armrests with cup holders, redesigned interior door grips, and improved materials. The company also changed the door seals, used thicker side-window glass, and added foam in the windshield header to make the ride inside the cabin quieter. The former 4.3-inch infotainment display has been exchanged for a high-definition 5.9-inch screen. In the WRX Premium, the screen went from 6.2 to 7.0 inches. The pricing for the refreshed version of the WRX and WRX STI have not yet been released. 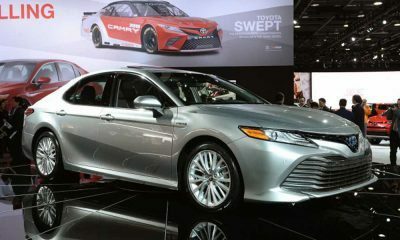 They are expected to be released shortly before the car arrives at the dealerships this spring, according to caranddriver.com.